Perfusion products are used to temporarily replace the functions of the heart and lungs during cardiac and thoracic surgery procedures. Terumo is the world's leading supplier of perfusion products; no other medical device manufacturer sells more. 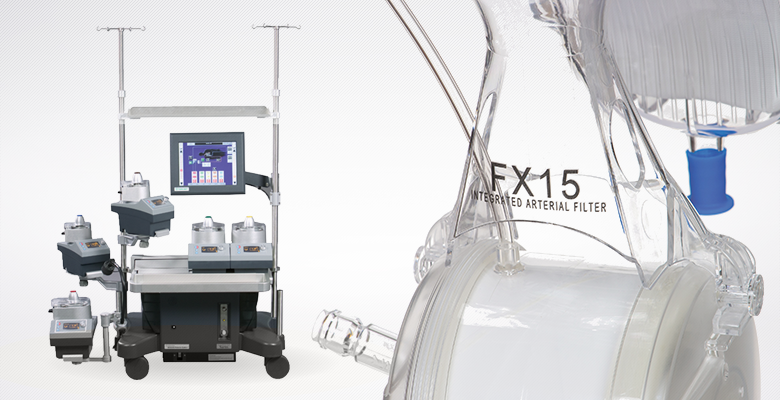 Terumo's extensive perfusion product line includes the most technologically advanced heart-lung machine, the world's best selling pediatric oxygenator, and the world's only continuous blood gas monitor.